Speaking at the unveiling in Coventry, he said announced he wanted to change politics – something, I believe, he’s already done to the detriment of the British political landscape. The good news is the Brexit Party will kill off what’s left of UKIP but I fear what will unfold as a result. The whole of the UK is bitterly divided by the Brexit shenanigans which teetered close to the cliff edge this week when shameless Prime Minister Theresa May agreed on a Brexit delay to 31 October with the EU. Of course, there is an option of leaving earlier if her withdrawal agreement is approved by Parliament but get your skates on standby as Hell will freeze over first. 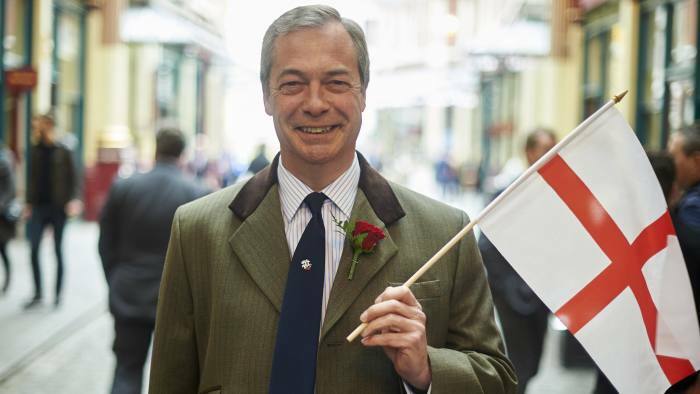 Farage boasted his new party has an “impressive list” of 70 candidates for the elections including Annunziata Rees-Mogg, sister of top Tory wing-nut Jacob Rees-Mogg, the Member of Parliament for the 18th century! So, just when you think things couldn’t get worse, they most certainly have. I’m going to find Brenda of Bristol and hide in her bunker away from this circus.